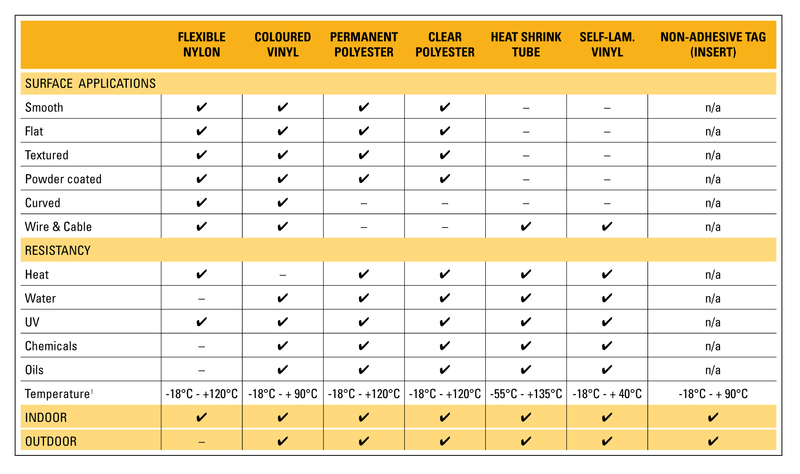 Flame retardant, this non-adhesive solution is the clean, no-smudge way to identify and tightly fit your wires and cables. Apply before connecting – then use a heat-gun to position permanently. 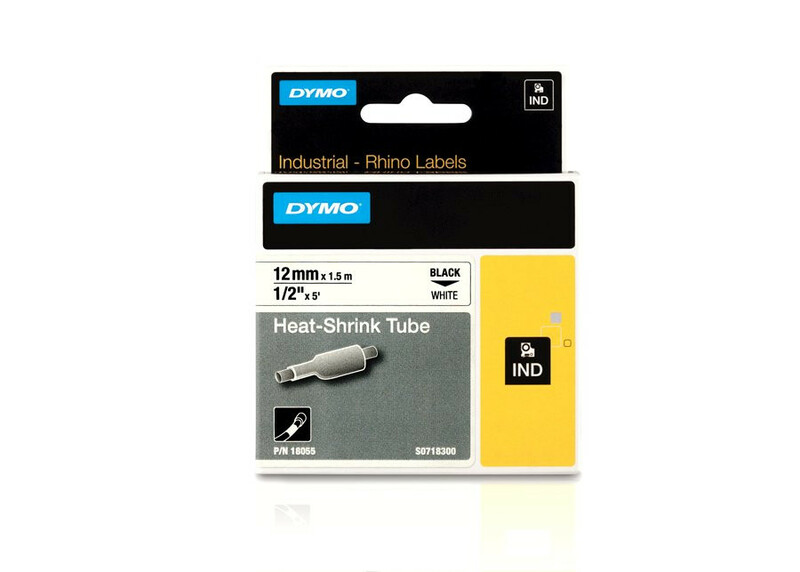 Black on White 12mm heat shrink tube tape for use with Dymo Rhino 4200, 5000, 5200, 6000 and ILP-219 label printers. Also suitable for use in 3M PL200, PL300 and Tyco T107M machines. Our Tapes are of High Quality and Low Cost that gives you the best results every time. For further information please contact our sales team.